Slips and falls can greatly threaten your health and independence. Slips and falls are major causes of serious injury and death. People with arthritis, osteoporosis, and mobility problems have greater risks. It's a sad statistic, one in five older Americans who suffer a hip fracture will die within a year. Hip fractures also account for over 300,000 annual hospitalizations. Slips and falls have many causes, but usually have one thing in common. They could have been prevented. Accidents do happen, however, most slips and falls could and should have been prevented. The key to preventing most slips and falls are following some simple common sense tips. Take the time to identify, control and eliminate the hazards around your home to lower your chances of slips and falls. Anchor loose telephone, computer and electrical cords. Use a sturdy step stool (not a chair), when you need to reach up into those top kitchen cupboards. Use teacher aids to access those high shelves. Organize your kitchen for easier access. Keep kitchen drawers and cabinets closed. Use a non-skid rug in front of the sink. Do not over wax or polish your floors. Use extra care around soapy water. Soft-water can make showering very slippery. Use a shower chair and handheld showerhead if prone to falling. Use rubber mats or slip resistant stickers in the bathtub. Pick-up clothes, shoes or other items off the floor. Before getting up out of bed, always take the time to sit on the edge of the bed to make sure you are not feeling light-headed or dizzy. Wear properly fitting clothing, you can trip overcoats, pant legs or bathrobes that are too long. Shoes and footwear should fit properly. Choose shoes with low heels and good tread, whenever possible. Slow it down, take your time. Don't rush to get the front door or answer the telephone. Use a cane or walker if you feel unsteady. Avoid distractions, stay focused on what you're doing. Keep driveways and walkways free of ice and snow. Be on the lookout for standing water that gets tracked in from outside. Be extra careful on any slick surface. Always keep steps and staircases clear. Install sturdy handrails on both sides, if you can. Add non-slip safety treads to steps. Always keep one hand free to be able to use the handrail. Never carry items that obstruct your view of the next step. Take your time to decrease chances of misjudging a step. 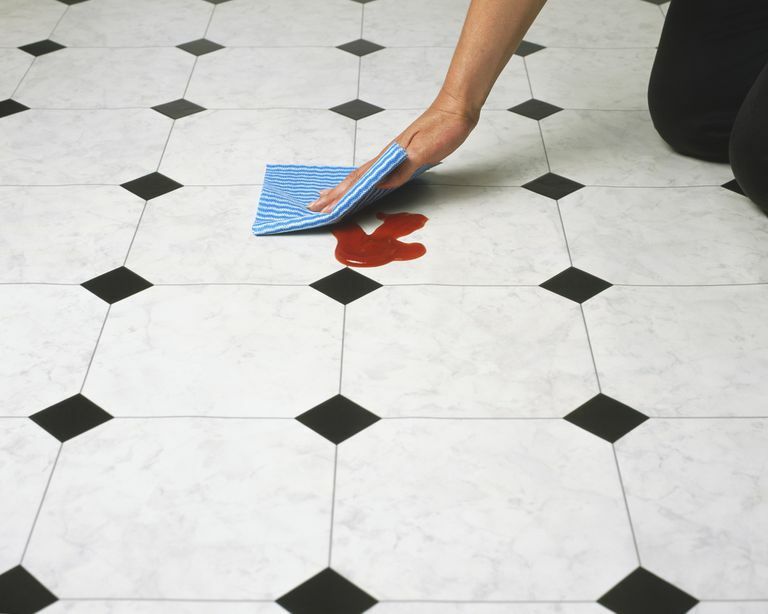 Clean up those greasy, oily, or muddy floors. Take extra care when climbing up to high places. Take extra care when reaching out your arms or overextending your reach, especially on a ladder. Wear your glasses if you need them. Keep young children supervised at all times, obvious dangers are not always apparent to children. Always properly strap children into high chairs, shopping carts, and strollers. Keep playtime away from windows, sliding patio doors, porches, balconies and other dangerous areas. Larger pets can jump on you, knocking you off balance. Consider using assistive devices, mobility aids, and other helpful gadgets. The limitations of arthritis can make tasks challenging and frustrating. Remember, there are products that can help. Follow your medication dosages closely. Review your medications (including supplements and other products you take over-the-counter) with your doctor. Certain medications or combination of medications can lead to dizziness, drowsiness, light-headedness, weakness and other side effects that could lead to slips and falls.